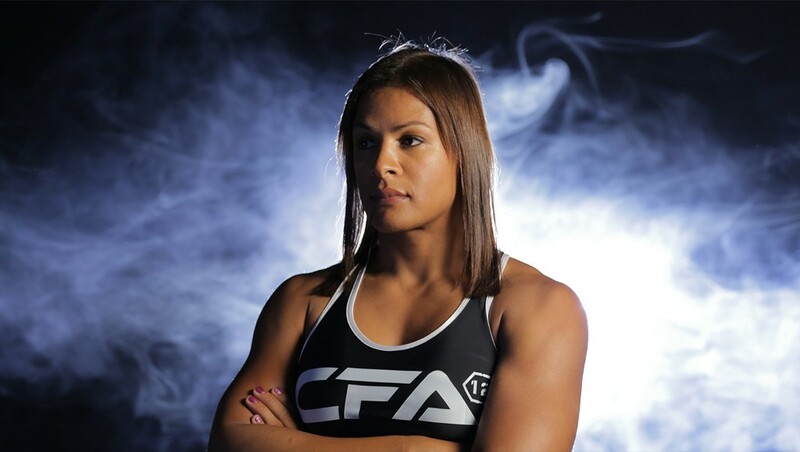 Just before her May 24, 2013, fight against Fallon Fox in Coral Gables, Florida, mixed martial arts (MMA) fighter Allanna Jones chose Aerosmith’s “Dude (Looks Like a Lady)” to accompany her entry to the octagon. The song was a blatant attempt to taunt Fox, who had been outed as a transgender woman just two months earlier. Fox responded by dominating throughout the bout before choking Jones into submission in the final round. It’s one of the many salient moments in the film Game Face, a documentary about out LGBT athletes that’s newly available for streaming. The documentary follows the journeys of Fox and her struggle to gain acceptance within professional MMA fighting, and Terrence Clemens, a junior college basketball player at Northeastern Oklahoma State A&M College who’s simultaneously trying to impress Division I coaches and muster the courage to come out to his teammates. 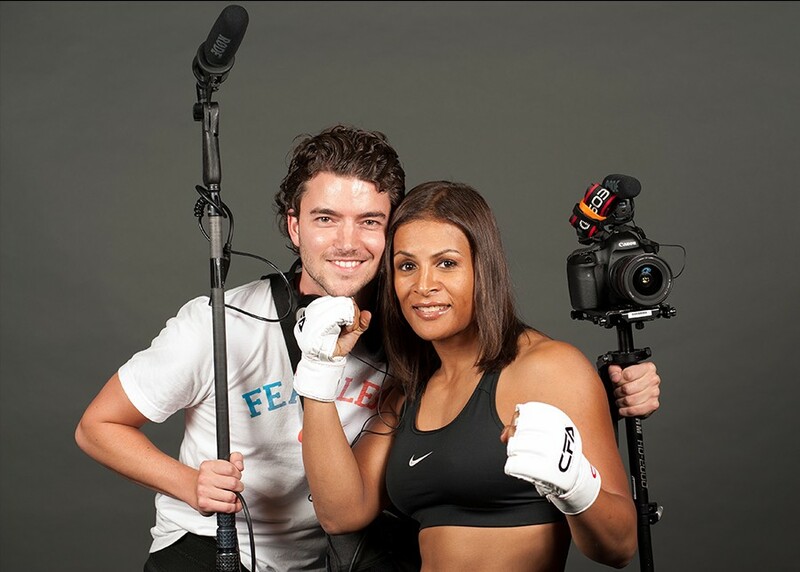 Michiel Thomas, the first-time director of the film, spoke to MEL about the ongoing debate about whether trans women have an unfair advantage in combat sports, changing locker room culture and his own short-lived basketball career. Jason Collins came out while you were filming, making him the first openly gay player in NBA history. How did that change the direction of the project? I remember waking up and reading that on Facebook, and my first thought was Great. And then I thought, Oh no, I just started a movie that’s going to be irrelevant. Then I immediately changed my mind again: This is actually perfect because Jason could be part of the film. I was headed up to Portland for a pride parade event Nike was hosting as part of its #BeTrue campaign to promote inclusion of LGBT athletes. I didn’t know Jason was going there, too — he had just come out and Nike booked him as its surprise speaker. I waited for him at the end of the security line, and he was immediately on board to meet Terrence. Terrence is a basketball player. Fallon is an MMA fighter. How did those two sports differ in their attitudes toward LGBT athletes? Basketball is really a team sport, and the locker room — how should I say this? — it’s a joke-y atmosphere. Everyone tries to impress each other and be macho. Terrance was tired of all the gay jokes and jokes about women. That wasn’t the case with Fallon and MMA locker rooms. MMA fighters act tough in the ring but after the fight, they’re not as tough as they seem. With MMA, the crowd is definitely tougher and more conservative. The crowd acts tougher than some of the fighters themselves. When Terrence first joined the team, his teammates found him standoffish. Was that Terrence distancing himself, or him being ostracized? It was a combination, but it started with Terrence and the insecurities he was battling. If you’re comfortable with yourself, you’re more social. It goes back to that locker-room culture. I remember him complaining about all the joking about women and gays. And when Collins came out, his teammates were saying, “Oh, Jason’s gonna be your shower buddy.” That wasn’t helping make Terrence more social. How does the inherent violence of MMA affect people’s perceptions of a trans woman participating in the sport? That was the biggest thing with Fallon from day one — she was accused of having an advantage [because she was assigned male at birth]. In the film, we show that isn’t the case. Those accusations weren’t true. But when you have a physical sport like MMA, people immediately were in attack mode without doing any research, which was really tough. And it still is. 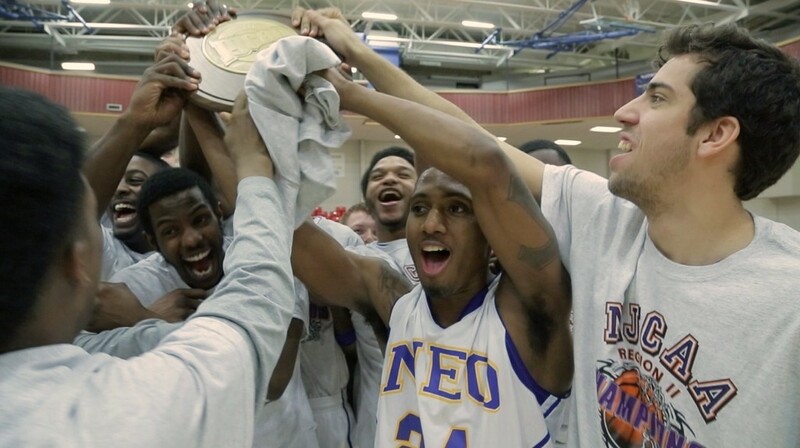 Does playing at a small college program such as Terrence’s make it easier or harder for a player to come out? It depends on the school. There’s a list of the most LGBT-friendly colleges in the country and some of them are big universities and some are small. We were filming in Oklahoma, and I read in the local newspaper about a lesbian couple kicked out of college for being gay. So we definitely knew Oklahoma was very conservative. When Terrence wasn’t out, what did you tell people about why you were filming him? 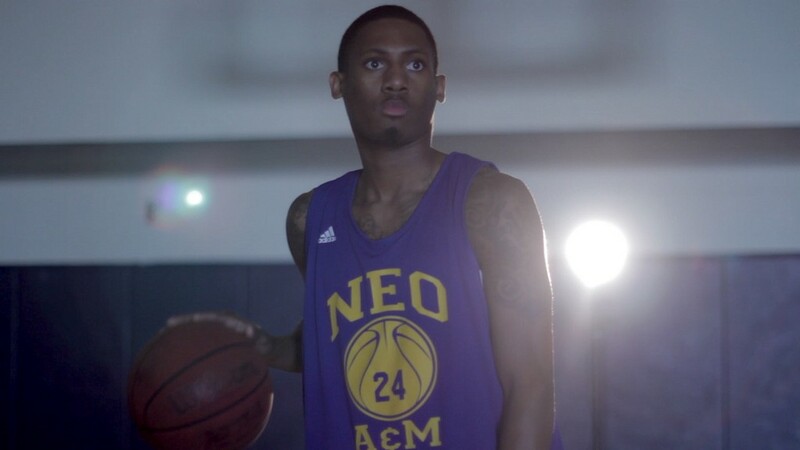 We pitched it a like a Hoop Dreams 2 — a college basketball player from the inner city who went to jail [for credit card fraud] and tries to make a comeback. Which was all true. We just didn’t say what the other part of the show was. I was very scared how the school would react when Terrence came out but was pleased they ended up being supportive. They invited Terrence to the school for a viewing of the film, and they offered him a brick in their Brick of Fame. Were you surprised crowds cheered against Fallon when she fought Ashlee Evans-Smith? Yes. I figured that since it was Miami, a party city, that they would have more of an open mind. But the whole arena booed her. Did her losing that fight actually help convince skeptics she didn’t have an unfair advantage? Yes, although she didn’t lose on purpose (that’s for sure). But a week after the fight Evans-Smith still said that Fallon had an advantage. That’s just crazy. So far, the professional athletes who have come out have not been at the top of their respective sports. Would fans be more accepting if there was an LGBT superstar? Yes. If Lebron James or Steph Curry came out tomorrow, we would have a lot more supporters. When you create such a personal documentary, what’s your relationship with your subjects? It was a little awkward. 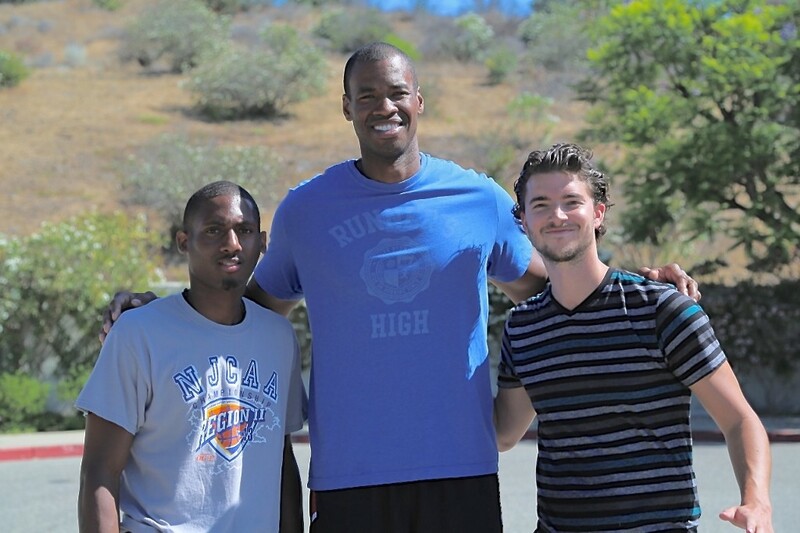 Before we started filming, Terrence and I met playing in Lambda, a gay basketball league in Los Angeles, and became friends. I knew it was a delicate subject and I really hoped it turned out well. Now he’s being booked for speaking engagements all over the country, and I’m happy to help out a friend in that way. But there were certain things that were important for him to tell that had to be cut. Terrence was raised by his grandmother, and we filmed a very emotional scene when his grandmother passed away. It was so tough for Terrence that we didn’t use it. With Fallon, there was more tension with her trainers. They were absolutely not supportive of the project at the beginning. They were scared Fallon’s coming out would damage their gym and their careers. But after Fallon came out they grew to have more respect for her and the film. The film ends on a nice note, with Terrence reuniting with his high-school teammate, NBA All-Star James Harden. When Collins signed with the Brooklyn Nets, we went to visit him, and they just happened to be playing the Houston Rockets [Harden’s team]. Terrence talked to Harden before the game. I don’t think they talked afterward, though. They don’t have a friendship again, but it’s a start. Michael Sam was drafted by the St. Louis Rams in 2014, but was cut before the regular season started. Would an openly gay, active NFL player have the largest impact on the perception of out athletes?Definitely in the United States because it’s the country’s biggest sport, and maybe its biggest cultural institution overall. Football is king. John McDermott is a staff writer at MEL. His last article examined whether you should own a car or just Uber everywhere.